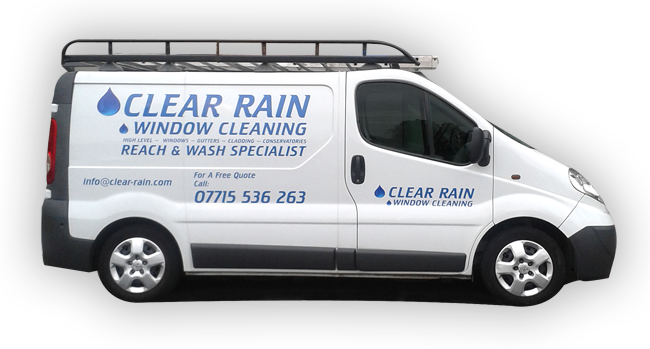 At Clear Rain Window Cleaning we are committed to providing the best possible service and value. All of our work is fully guaranteed and all of our operatives are fully trained and professional. With over 25 years experience in commercial and domestic window cleaning, we are confident that we can provide the right solution for your needs. Residential or Commercial, Conservatories or Foyers, Solar Panels or External Sun Shades, we can keep your building looking its best. The window cleaning methods we employ are both safe and environmentally friendly.